Books | Bactrim Buy - Pharmacy you can trust! My mother is a librarian, so I’ve always had an appreciation for books. In college, I really got interested in nonfiction books on culture and marketing. Consider checking some of these out—and I mean that literally. If you are a student, you probably don’t have much of a budget. So go get a library card—the library is an amazing resource! Meatball Sundae: Is Your Marketing out of Sync? by Seth Godin Mitch Joel said it all when he told me, "Seth says the things that are just so obvious that no one says." The Dip by Seth Godin A quick read that I found translated into working through the difficulties of the "proving yourself" career stage while moving from college to career. Made to Stick: Why Some Ideas Survive and Others Die by Chip and Dan Heath A book on storytelling, making ideas "stickier" and creating messages that people will actually care to hear. Groundswell: Winning in a World Transformed by Social Technologies by Charline Li and Josh Bernoff This is a terrific introduction into concepts of the social web, complete with valuable case studies. 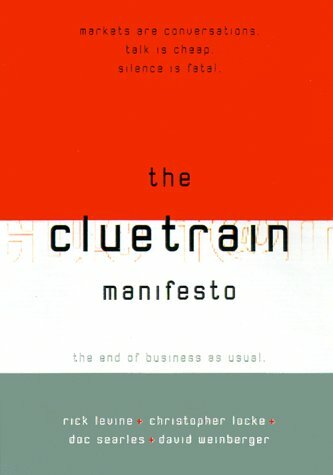 The Cluetrain Manifesto by Christopher Locke (Author), Rick Levine (Author), Doc Searls (Author), David Weinberger To give you an idea of how long this book has been around, I actually listened to the audio version on cassette tapes. Still, the ideas have stood the test of time. The Long Tail by Chris Anderson With ever-increasing media fragmentation, the concept of "the long tail" has become a bit of a mantra for the marketing and communications community (I actually saw Chris Anderson speak recently. You can see the video here ). 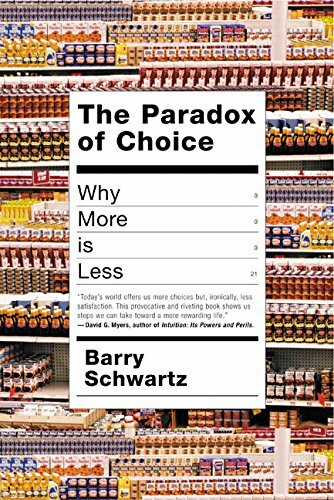 The Paradox of Choice by Barry Schwartz Consumers are becoming increasingly overwhelmed by new products and new choices, but it turns out that sometimes less actually is more. Blink: The Power of Thinking Without Thinking by Malcolm Gladwell How does intuition play into those split second decisions we make? Head First HTML with CSS & XHTML by Elisabeth Freeman, Eric Freeman It definitely helps to have a base knowledge of HTML & CSS—it's empowering to be able to jump into the code (and it doesn't have to be scary!). I'm so proud to be married to an über geek technology author. Jeff's book, Head First Web Design is now out, along with his second book, Head First WordPress: A Brain-Friendly Guide to Creating Your Own Custom WordPress Blog .